To me, Tibet is the most mysterious, unforgettable destination in the world. The majesty of the Himalayas, the unique cultural treasures, and the beautiful and warm Tibetan people combine to create an achingly overwhelming experience. When you add the sudden lack of oxygen and resulting lack of sleep, the result is dreamlike and surreal. No trip to Tibet can be complete without a stop in Lhasa. I think it’s important for travelers to visit this mystical place to build their own perspectives, so here are some top sights to see in Lhasa, Tibet. Rising up steeply 130 meters above Lhasa valley, the Potala Palace draws thousands of Tibetan pilgrims each day who have come to receive blessings from the divinities. 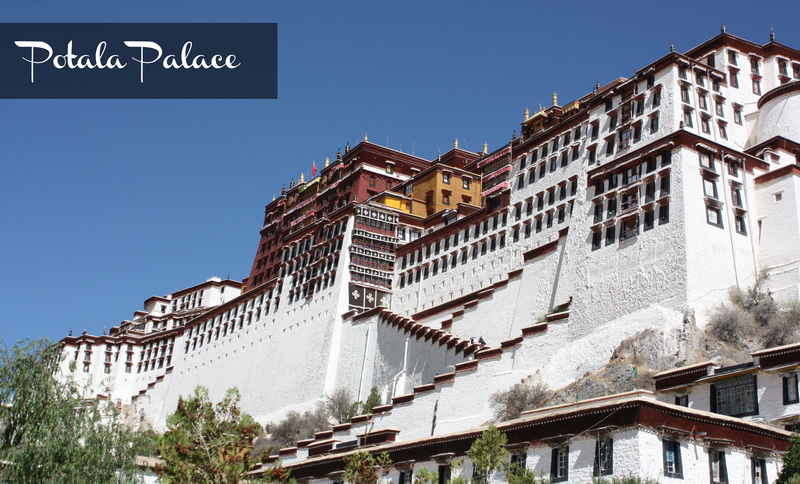 The present palace was constructed in 1655 and is the official residence of the Dalai Lama. The ornate beauty of this palace is legendary, and rightly so. I loved the exuberant colors and gilded artwork, lit mysteriously by flickering candles. The climb to the palace is somewhat strenuous, but add the effect of altitude, and it becomes an Olympic event. Make sure to reserve your Potala visit a few days into your trip to make sure you are fully acclimated to the altitude. Built in the 7th century, Jokhang Temple is the spiritual heart of Lhasa. I remember the Jokhang most for the clouds of smoky incense, prostrating pilgrims, glint of gold everywhere, and sheer mass of offerings before each religious relic. Significant religious statues were virtually buried in jumbles of yuan notes, coins, white scarfs, and personal letters. The Jokhang is the lodestone that Tibetans are willing to prostrate for thousands of miles to reach, so here the spiritual passion of the Tibetan people is palpable and awe-inspiring. 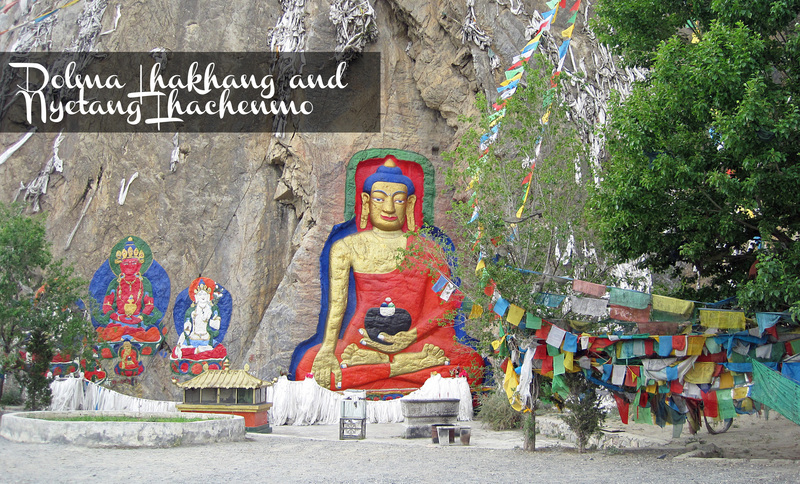 Don’t miss the 2,500 year old murals and the statue of Buddha, believed to have been anointed by Buddha himself. 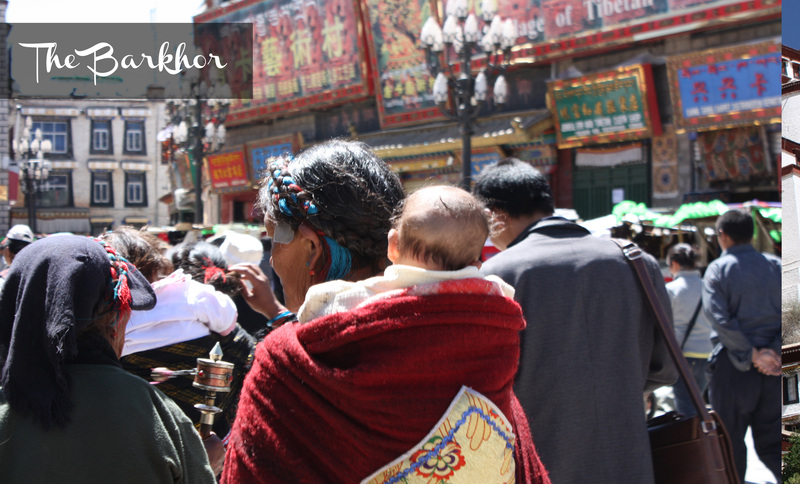 If the Jokhang Temple is the heart of Lhasa, the Barkhor contains the arteries, pumping pilgrims and locals about their daily business. 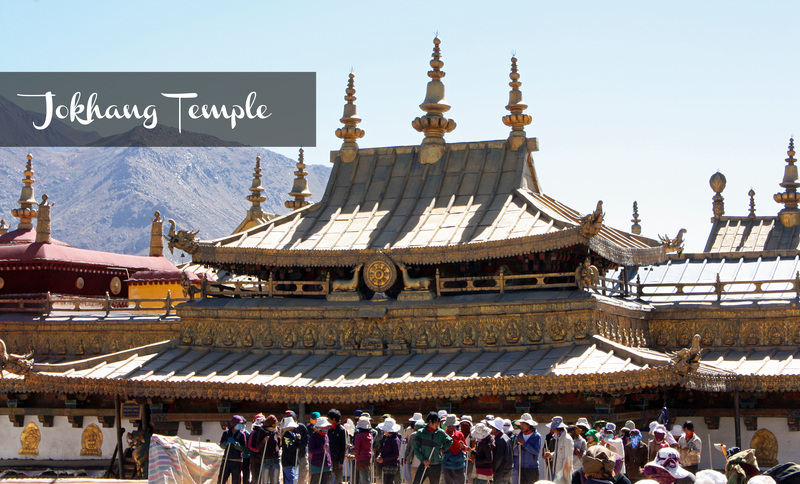 They prostrate in prayer, engage in kora (walking clockwise around the temple), and spin prayer wheels against a colorful backdrop of picturesque shops and ancient buildings—all under the watchful eyes of tourists and Chinese military police. This is my favorite place in the world for people watching as nomads, yak herders, and farmers migrate here to circumambulate Jorkhor temple on Barkhor streets for their annual pilgrimages. It is also great to pick up trinkets to take back home. Drepung Monastery is one of the largest monasteries in the world, housing 10,000 monks at its zenith. It is a shadow of its former self with less than 400 monks in attendance. Dreprung is amazing with its stunning views of the Lhasa valley surrounded by the tallest mountains in the world. I loved the pilgrims fervently pouring yak butter from their tin pitchers to feed the candles. You can actually take pictures inside the monastery. Don’t miss the mandelas (intricate sand sculptures) and huge kitchen where you can make a donation to feed the monks. 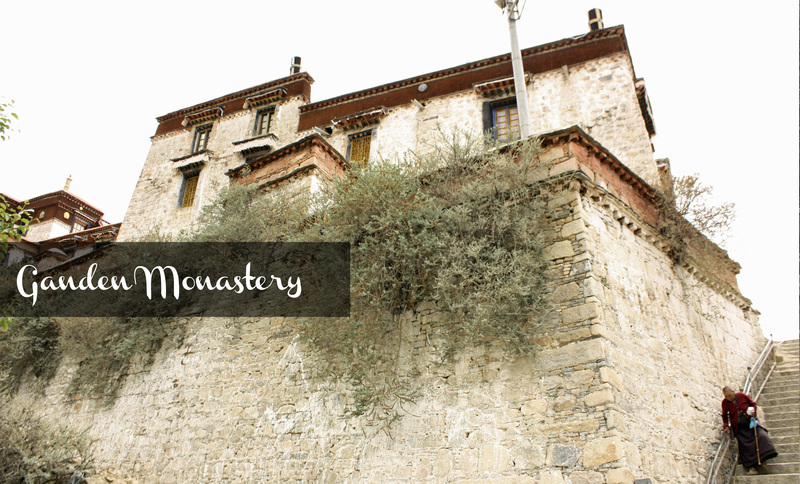 Go to Sera Monastery to see the debating monks! Monks meet daily in the monastery garden to debate Buddhist doctrine. Some monks sit in circles and discuss scripture peacefully while others punctuate each argument with thunderous expressions and hand slapping. These battles of words are fascinating to watch, so make sure to time your visit in the afternoon Monday through Friday after 3 to witness this ancient form of reasoning. Be respectful of the monks and make sure you stay on the path. 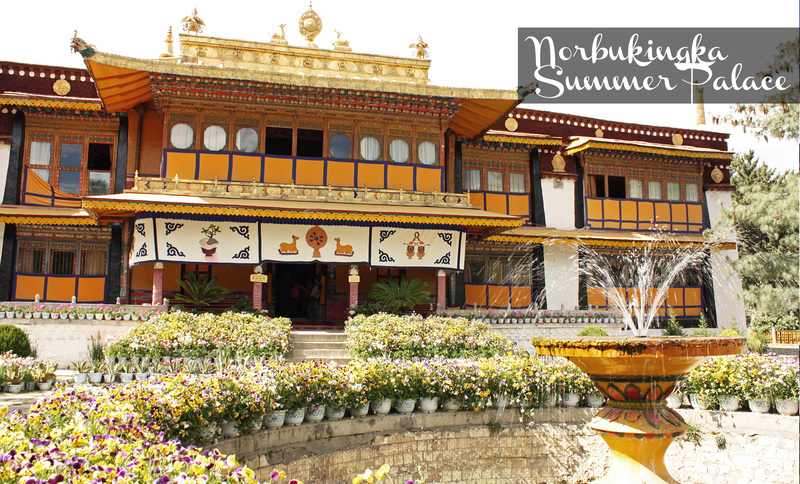 Visiting the Nobulingka Summer Palace is fascinating, because the Seventh Dalai Lama constructed the first summer palace in 1755 and each successive Dalai Lama added his own addition to the complex. The result is a layered look at 200 years of history and Tibetan interior design. It provides a more intimate and homey glimpse into the lives of the Dalai Lamas up to the 14th Dalai Lama’s departure in 1959. Don’t miss the murals! Ganden Monastery was completely destroyed during the rebellion of 1959 but has been in the middle of reconstruction for the past 30 years. It is considered to be one of the great three monasteries of Tibet. The secret about Ganden is the sheer beauty of the kora around the monastery. As you circumambulate with pilgrims, you look upon yaks grazing, enjoy stunning mountain views, and get an eye-level view of the clouds. Note that Ganden Monastery is a 90 minute drive from Lhasa and is a half mile higher than Lhasa, so the altitude is quite serious and not for those already suffering from altitude sickness. If you are looking for an authentic experience, then visiting the Dolma Lhakhang should be on your list, because it was one of the very few temples to survive the Cultural Revolution. Original buildings hold particular significance for me–I love to imagine what the walls would say if they could talk. 🙂 Then, just 3 miles down the road is a 100 foot statue of Buddha Shakyamuni carved and painted into the side of the mountain. The original carving is said to be 1000 years old. You can see both of these on the way to the airport. 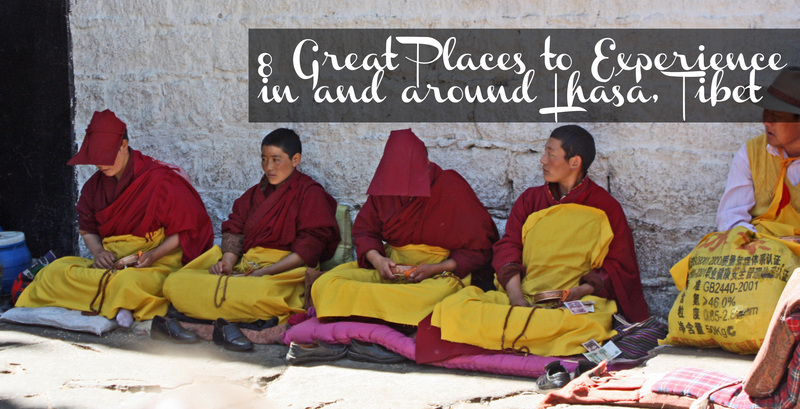 This is by no means a exhaustive list, but it provides a great starting point for planning your Tibet trip. I think the most important thing to do before planning any trip is to do tons of research to find out the things you want to see and then you can determine how to get there and where to stay. Watch for Tuesday’s post on how to plan a trip to Tibet. Thank you so much for reading! I appreciate all of you, and thank you for your comments! Tags: adventure, Barkhor, bucket list, Buddha, culture, destination, dreamdestinations, Drepung, explore, explore asia, Lhasa, Tibet, travel, travel inspiration, travel tips, wanderlust. Bookmark the permalink. Great overview! I would add the Canggu Nunnery, an off-the-beaten-track place to see the female version of all those Tibetan monks all over town. Because their hair is shaved very short and they wear similar robes, you realize that you probably have been seeing nuns all over Lhasa without knowing it! 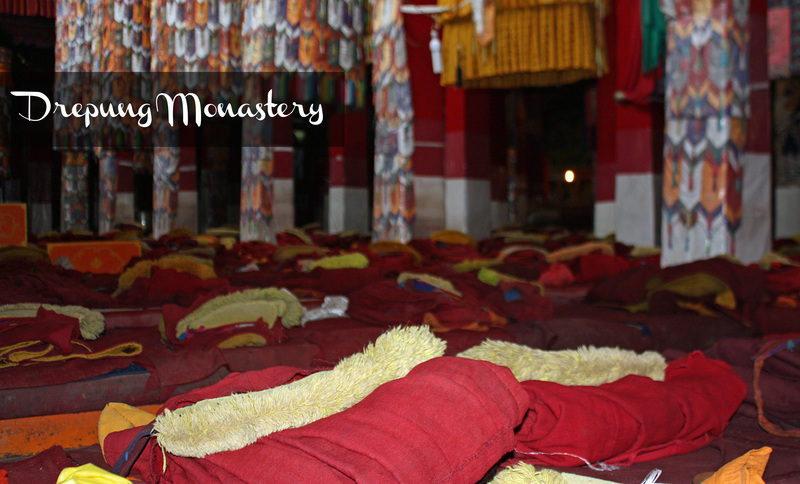 The nunnery is a very quiet, peaceful place tucked away off a main street, not too far from the Jokhang and Barkhor Square. 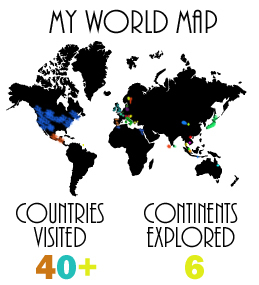 I’m enjoying a virtual trip back to one of my favorite places in the world via your posts! Wow, great information and photos!